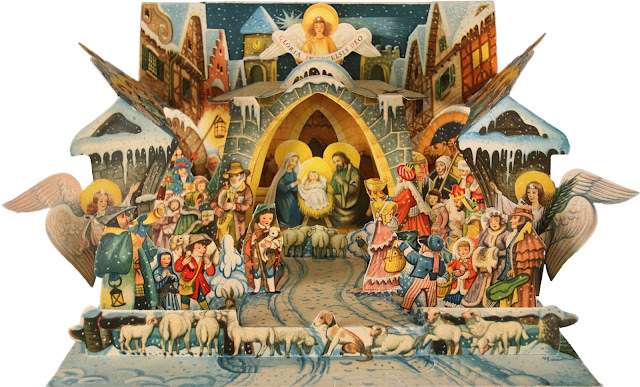 An important designer and illustrator of pop-up books in the twentieth century was Vojtěch Kubašta, whose pop-up versions of 'Snow White' and 'Cinderella' are displayed in the first case of the Playful pop-up books exhibition, alongside the nativity scene from his 'A Christmas Tale'. 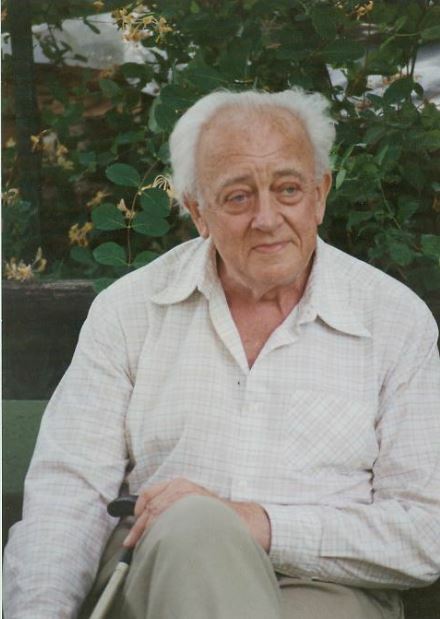 Kubašta was born in Vienna in 1914, but he lived in Prague for most of his life. He wanted to become an artist from a young age. To please his father, he studied architecture and civil engineering at university instead. However, he only worked as an architect for a short time, and from the early 1940s worked instead as a commercial artist and book designer. Ref: Vojtěch Kubašta in his home town of Prague. The publishing industry in Czechoslovakia was nationalised by the communist government in 1948; censorship became much tighter, and more than 370 publishing houses were closed down. Kubašta had to find new kinds of work. He designed advertisements to market Czech products internationally, and created three-dimensional cards to advertise porcelain, sewing machines, pencils, Pilsner beer, and sunglasses, among other things. In 1956, Kubašta designed his first fairy tale pop-up book: 'Little Red Riding Hood', published by ARTIA, a state-owned foreign trade corporation in Prague. He soon became their best known illustrator because of his pop-up book designs. Ref: Vojtěch Kubašta. Snow White. London: Bancroft, 1960. Auckland Libraries Heritage Collections. The fairy tale books he designed have been created ‘concertina style,’ whereby a single piece of card is cut and folded, and then the whole piece is accordion folded into pages and bound with a cloth-covered spine. This format could be produced relatively cheaply. Kubašta also included moveable elements such as pull tabs and wheels, sometimes even in the covers. He wanted to create “a small theatre inside the book” for children, inspired by the sets and costumes he had previously created for the puppet theatres which were popular entertainment in Czechoslovakia. In Snow White, a lever makes the witch lean forward and offer the fateful poisoned apple. Ref: Kubašta’s signature from: Vojtěch Kubašta. Sleeping Beauty. London: Bancroft, 1961. Auckland Libraries Heritage Collections. His books began to be imported into England by Bancroft in the late 1950s and his illustrations also became well-known in America in the 1960s, although most Americans had no idea that many of their favourite cartoons had been created behind the Iron Curtain. Kubašta believed that if he had been born in the West instead of in a communist country, he would have been another Walt Disney. Though he was never a household name, his pop-up books have been published in 24 different languages and 35 million copies have been sold. Ref: Vojtěch Kubašta. Cinderella.London: Bancroft, 1961. Auckland Libraries Heritage Collections. 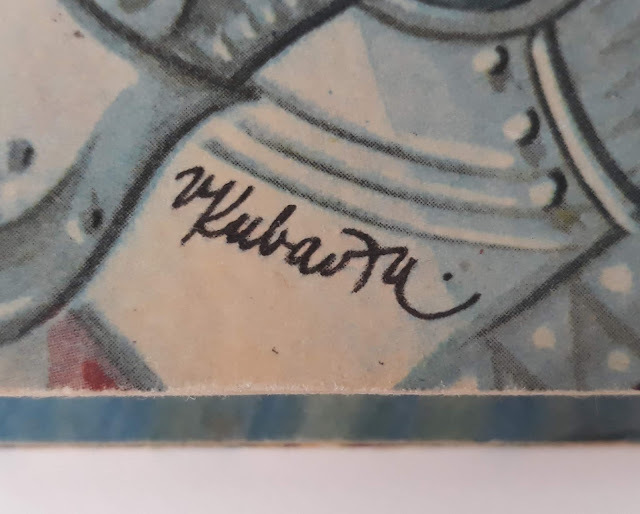 He was an important influence on American illustrator Robert Sabuda, who received a copy of Kubašta’s 'Cinderella' when he was ten years old. In Ellen Rubin’s biography of Kubašta, 'Pop-ups from Prague', Sabuda remembers: “I couldn’t believe that a pop-up could have such beautiful artwork. My whole notion of what a pop-up book would be changed forever that day”. Sabuda has gone on to become the most well-known pop-up book illustrator working today, and several of his books also feature in the exhibition. Listen to the series of interviews relating to the 'Playful pop-up books' exhibition on Ngā Pātaka Kōrero - Auckland Libraries SoundCloud page. Further reading: Ellen Rubin. Pop-ups from Prague: a centennial celebration of the graphic artistry of Vojtěch Kubašta (1914-1992) from the collection of Ellen G.K. Rubin. New York City: The Grolier Club, 2013.